What SyFy originals are lacking. After an absence of almost twenty years, Mystery Science Theater 3000 is back, having premiered on Netflix last week. Thankfully, the new cast has proven adept at heckling bad movies, just as the original cast did in the 90s. While it may never have had a large audience, the show was arguably the starting point for the Internet's obsession with bad movies. During its original run, the show featured some of the worst movies ever made, as its characters mercilessly mocked them. To this day, IMDb's list of the 100 worst-rated movies includes many films brought to light by the show, from Manos: The Hands of Fate to The Incredibly Strange Creatures Who Stopped Living and Became Mixed-Up Zombies. Old school B-movies, foreign exploitation films, and direct-to-video schlock are common targets on the show. However, another kind of film has joined the landscape of trash cinema: the SyFy original. Sharktopus. Dinocroc. Mega Piranha. The list goes on. The name SyFy (formerly the Sci-Fi Channel) has become synonymous with unimaginative disaster and monster movies. The Mystery Science Theater 3000 revival even commented on this development during its takedown of the 1978 disaster movie Avalanche. The show's new host Jonah, along with his robot companions, devised an increasingly absurd series of potential SyFy titles, from Triceraquake to Volcanasaurus Rex. It seems like a playful jab at SyFy, which cancelled the original Mystery Science Theater in 1999. However, they make a valid point in the process. MST has always uncovered genuinely bad films, amusing oddities lacking budgets, talent, coherence, or some combination thereof. SyFy, on the other hand, specializes in producing deliberately bad movies, seemingly intended for ironic viewing. SyFy's movies are undeniably bad, but they lack the qualities that make bad movies funny. Genuinely bad movies often take themselves incredibly seriously, despite being ridiculous. There's something inherently amusing about actors screaming in terror at the sight of a monster that's clearly a rubber sock puppet. 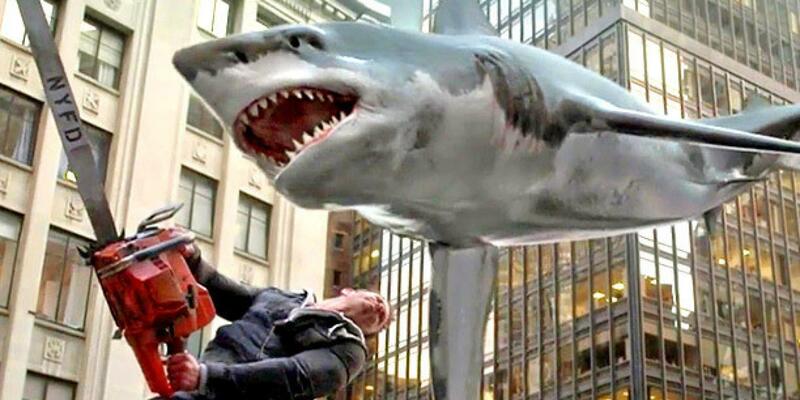 The problem with movies like the Sharknado series, however, is that the filmmakers are in on the joke. Making a deliberately bad movie is just an easy way to circumvent criticism. No matter how bad it turns out, the filmmakers can always argue it was intentional. Ambition and risk are essential to the creative process, even if they result in failure. You can learn a lot about filmmaking by seeing the common mistakes that can drag a film down. Besides, failure can be funny. We get a rush of excitement when we see a boom mic drop into frame, or a crew member trying (and failing) to hide from the camera. SyFy originals draw our attention to their calculated flaws, effectively throwing an Easter egg at your face instead of letting you look for it. There's simply no point in mocking a bad movie if it wants to be mocked for its badness. Watching a bad movie can often be a much better experience than watching a good movie. However, that experience simply can't be captured intentionally. Trying to make a movie bad can prevent it from being good, but it misses the real appeal of a bad movie. Good or bad, any movie worth watching is the product of a leap of faith, not a cynical lack of effort.